Home » Posts » Attentionology for K-5 Teachers » Help Kids Organize to Focus! Clean Slate Traditions – For those who begin a new year when the calendar turns to January, as it soon will, it’s a good time to create a clean slate. 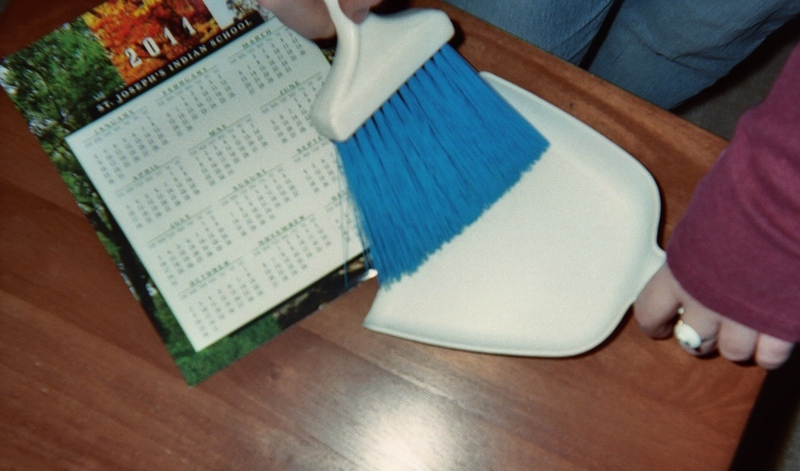 Clean up and clean out, not just at home, but also at school. Benefits? Creating a clean slate helps kids organize to focus. The expression, “starting with a clean slate,” comes from the English tradition of sweeping the soot off the hearth at the beginning the month named for the two-faced Roman god, Janus. Tradition has us waving goodbye to Janus’ face of the old year and welcoming the face of the new one ahead. Even if you and your students face the same old classroom space in early January, create a clean slate by scheduling time to de-clutter the place. Make this effort a class project that offers a lesson in attentionology. Point out the connection to your K – 5 kids, in age appropriate ways, between de-cluttering and creating a new sense of organization and focus. You and your class can make a January resolution to pay the best attention ever to every task at hand in school. 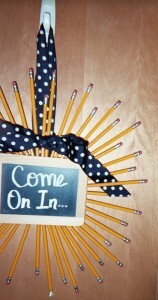 Clean Slate Door Decor – Welcome students back to school with door decor that makes a point of starting the new year sharp! Hang a door hangar that features newly sharpened pencils. Tell the class that the pencils symbolize creating a clean slate with a sharp focus. If your budget allows, distribute newly sharpened pencils to each of your students. Distribute paper for students to write lists of ways to organize to focus. 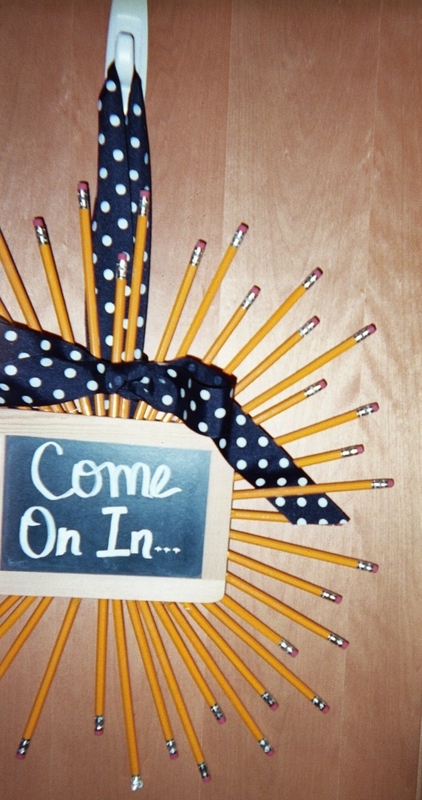 Welcome students back in the new year with door decor that features newly sharpened pencils. Clean Slate Teaching – Students in grades 4 and 5 will likely grasp the analogy between de-cluttering a desk, for example, and de-cluttering one’s mind. Ask them if they think that mind-clutter contributes to short attention spans that inhibit full learning. Set aside class time and ask students to actually clean out their desks. Challenge students to think about other ways to create a clean slate in the new year. When the physical cleaning up and clearing out is done, ask students if participating in that task has helped clear their minds for a new year of learning. Discuss other ways to refresh the class’ focus. When the calendar turns to January 1, resolutions abound. The key is to create a sustainable clean slate. Dramatize Creating a Clean Slate – Help younger children grasp the concept of de-cluttering their minds with simple dramatic gestures. Hold your arms up with elbows to each side so that your hands cover your forehead. Invite the children to follow your lead. Make a whooshing sound and pull your hands away from your face, explaining to the kids that you are clearing your mind. Ask them to do the same. “We’ll start January with clear minds, ready to pay close attention in class and get good work done in 2016,” you can say. Encourage the children to repeat the dramatization and say the words you’ve said aloud together. Your dramatization will help kids remember their class resolution. 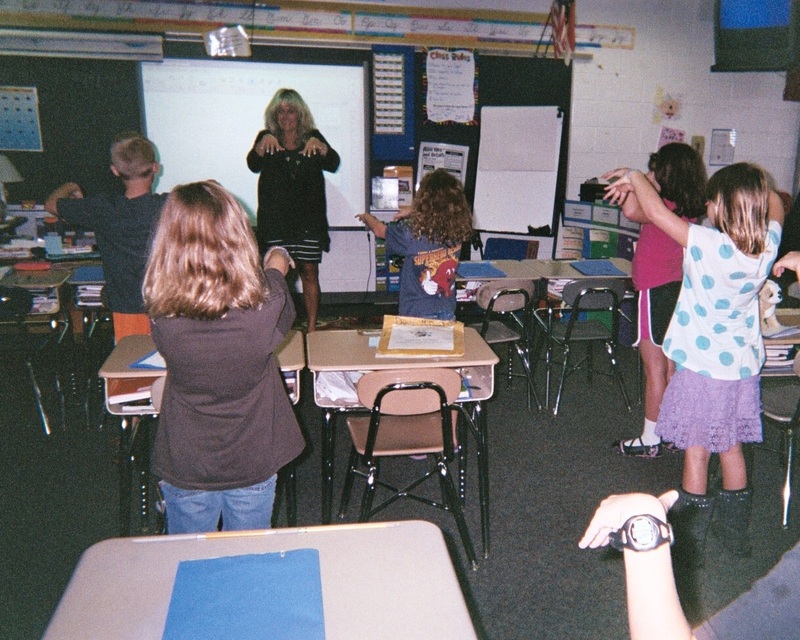 Clean Slate Resolution – Creating a clean slate as a full class activity gives students ownership in de-cluttering their minds and shared space. These activities also teach kids that making a commitment to paying attention in class is an action, not just some words. Please send comments on how you recognize the new year with your students. ‹ Create Ways to Handle Holiday Overload and De-stress!